s attorneys, we all experience substantial work-related stress from deadlines, client demands, and difficult opposing parties and counsel. A host of mental and physical problems are linked to stress, and we have all been told that finding ways to cope with and diffuse that stress is important for leading a healthy life. To stay healthy and sane, we need something to help us unwind and recharge. Many of us find solace in a hobby or other non-law activity that we enjoy. I find my solace in cooking. I grew up in a household that was always bustling with cooking activities. My mother started the first high school commercial foods program in California for boys, called “Boy’s Foods.” (Keep in mind, the idea of men at work in the home kitchen was a novel concept at the time.) Rarely did a week go by where there was not a wedding cake, or some other food-related project, being assembled on the kitchen table by my mother, usually surrounded by three or four of her students. I was trained to cook by osmosis and it became part of my DNA. Today, I would consider myself a “cookaholic.” I cook when I am happy; I cook when I’m sad; I cook when I am anxious; I cook when I am in need of distraction. Basically, I cook whenever I can. At the most primal level, I cook to provide nourishment for myself and others. However, for me cooking provides so much more. I know that for some, the idea of preparing a family meal can be just another chore to squeeze in at the end of an already exhausting day. However, for me, cooking is restorative. It allows me to express my love for and to nurture those around me. It is a way of giving to my family and community. It is also an outlet for my creativity. I can take a set of ingredients and create something new that is greater than the sum of the individual parts. Cooking settles my mind and gives me a sense of familiar comfort and a satisfying sense of immediate accomplishment. At the end of a long workday, one of my favorite ways to unwind is by slicing and dicing vegetables for dinner. It helps me slow down and re-focus. The steady repetitive sound of my knife against the cutting board quiets my mind and soothes my soul. Many cooks have long recognized the therapeutic value of cooking. 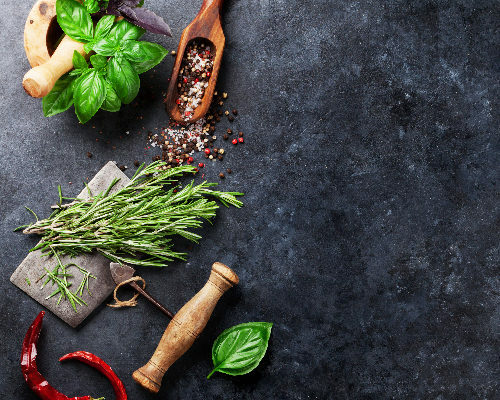 Now, a growing number of mental health professions have turned to what they call “culinary therapy” as part of their treatment for a wide range of mental and behavioral health conditions, including: depression; anxiety; eating disorders; ADHD; and addiction. We have all heard the benefits of meditation and mindfulness, such as increasing happiness and reducing stress.¹ Cooking is my personal form of meditation, with the added perk of a nutritious and tasty meal at the end. Cooking helps incorporate mindfulness into my life and can be extremely therapeutic. Cooking requires focus. You have to carefully measure, physically roll out dough and manually cut the vegetables. If you focus on the smells, textures and tastes of the ingredients you are handling, and on being present with the food you are creating, the mindfulness in that present moment can reduce your stress, improve concentration, and encourage a healthy lifestyle. Not only is mindfulness a good skill to master, but it can also help reduce the presence of sad thoughts. When you are cooking, you are doing something productive. You are not spending time “spinning your wheels” or ruminating over troubling events from the past, both of which can lead to unhappiness and depression. I find that cooking takes just enough of my mental attention to get me out of my own head and allows me focus my mind on something other than my worries. I was once told by an old Cajun chef that making a dark roux (a traditional mixture of flour and butter used to thicken many Cajun foods) is the best remedy for a troubled mind. The making of a traditional roux requires standing in front of a heavy skillet and constantly stirring the ingredients over a low heat while watching carefully for the mixture to reach just the right shade of a dark, reddish brown. This slow cooking process can take close to an hour to accomplish. The chef explained that he often cooked his roux late at night when his troubles were keeping him awake. I find that this simple cooking activity takes just enough of my attention to keep the roux from burning, calming my mind, and leaving no room for worrisome thoughts. For me, cooking for others is also a form of altruism. There is a symbolic value in cooking for others because food has both physical and emotional significance in our lives. Such an altruistic act can bring happiness and help connect to others. This in turn, can boost confidence and self-esteem. In this way, cooking contributes to an overall sense of well-being, and the giving component heightens that feeling. Doing something that you feel good about has very positive psychological effects. Especially when it is done for others, cooking has a cumulative psychological benefit. It connects us to others and brings a sense of closeness in that you are expressing your love and your care. It builds and strengthens interpersonal relationships. It encourages a sense of trust, community, meaning, purpose, belonging and intimacy. All of which have been linked to living a longer life, increased happiness, decreased depression and greater positive overall well-being. Studies have shown that creating relationships, and sustaining them, is a crucial part of sustaining mental wellbeing. 3 By providing others with food, you are showing them that they have your support, your love and your backing. Cooking brings us together and creates communities, and with community comes feelings of connection and happiness. Cooking with others also creates connections and strengthens our relationships. Just as I spent many memorable hours in the kitchen with my mother learning her cooking “secrets,” I now cook regularly with my own teenage daughter. We cook, experiment and play together using food as the medium. The time spent together is priceless. She is eager to learn from me, just as I was with my mother. She and I have a running joke, developed shortly after she became a ‘terrible tween.’ I ask her, “If I was alone in the woods and said something, would I still be wrong?” She always enthusiastically responds, “Of course!” Despite the trials and tribulations inherent in raising a teen, in the kitchen she and I have created a space where we can talk about anything and truly listen to each other. The process of cooking together brings us closer and strengthens our bonds, making the difficult conversations we have had at other times a little easier. When the meal is laid upon the table, I also get to see her sense of pride and fulfillment in this accomplishment; it is very satisfying. Cooking for yourself is an important form of self-care. The act of making food for yourself and taking the time to thoughtfully feed your body can have a significant impact on your wellbeing. Sure, it is faster and easier to “grab and go” but it is easier to control the nutritional quality of your diet when you prepare your own meals, and choosing a high-quality diet plays a major role in keeping your brain healthy. To make sure your brain is getting enough vital nutrients, it helps to know exactly what you are feeding it. Not only can cooking for yourself help you eat healthier, but it also sends a message to yourself that you are important. It is easy to dismiss cooking as just another household chore; however, I find it much more entertaining than vacuuming or folding laundry. Cooking is, in itself, an innately rewarding and creative experience. I can “play with my food” and let my imagination run wild. Much has been written about the connection between creative expression and overall wellbeing. I use cooking as an outlet for my creative expression. It is similar to other creative diversions, such as painting and making music. Instead of dashing out to the store after work to search for my next timesaving, pre-prepared meal, I come home and open the refrigerator to find inspiration. I see some strawberries, lettuce and a little cooked chicken left over from the night before. The next thing I know, I have created a nutritious and satisfying meal. I saved the time and avoided the stress of rushing to the store, and instead used my time to create something new. ¹ Corliss, “Mindfulness meditation may ease anxiety, mental stress,” Harvard Health Blog, Harvard Medical School. http://bit.ly/hmsmindfulness (Jan. 08, 2014, updated Dec. 14, 2016). 2 Trafton, “Recalling happier memories can reverse depression. Artificially reactivating positive memories could offer an alternative to traditional antidepressants,” MIT News Office, http://news.mit.edu/2015/recalling-happier-memories-reverse-depression-0617 (June 17, 2015). 3 Umberson and Montez, “Social Relationships and Health: A Flashpoint for Health Policy, ” Journal of Health and Social Behavior, http://bit.ly/jhsbflashpoint (Oct. 8, 2010). Jay E. Fernandez is a shareholder of the Fernandez Law Firm, P.C. and heads up the Firm’s business consulting services group. 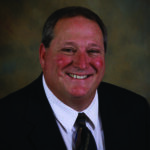 Jay’s primary areas of practice are: business; corporate; employment; real estate; estate planning; and criminal law. He is an international award winning chef and has his own line of sauces, spice rubs, and chocolates. Jay lives in Boulder with his wife of 35 years and his teenaged daughter. Barbara Ezyk, executive director of the Colorado Lawyer Assistance Program, is the coordinating editor of this series of Wellness articles during 2017. Readers are encouraged to send authors and Ezyk their feedback. If readers have suggestions for topics of future Wellness articles or would like to contribute to Wellness articles in the Docket, contact Ezyk at bezyk@coloradolap.org.